What Should I Consider When Buying a Used Watercraft? A small size watercraft, such as a jet ski, might be ideal for some people. Buying a used watercraft can be a lot like buying a used automobile: it will be important to do a thorough inspection of the craft, and if possible, a test drive should be done. If a test drive is not possible, the inspection will need to be especially thorough and it will be important to get some sort of warranty or guarantee from the seller. A return policy is best, of course, though this is not always possible to negotiate with a used watercraft. The specific things you should look for on the vessel will vary somewhat according to what type of vessel you are considering purchasing. Before you begin your search for a used watercraft, it is very important to draw up a budget for purchasing the vessel. Do not forget to include the cost of any trailers you may need to haul the craft, as well as any fees for storing the used watercraft once it has been purchased, if applicable. Once you have drawn up a budget, consider what size of used watercraft you need and want. Watercraft range from the very small — canoes, kayaks, jet skis, and so on — to the very large, such as yachts, speed boats, and racing boats. You will need to determine how you are most likely to use the watercraft, and then research the different craft that will suit your needs. Educate yourself on the advantages and disadvantages of a particular craft, and be sure to take note of any recalls or common problems associated with a particular used watercraft you are considering purchasing. This information can usually be found online at reputable websites, or in person at a boatbuilder's facility or watercraft store; calling the manufacturer is also a good idea, as a customer service representative will be able to answer your questions about a model of watercraft they have manufactured in the past. Check for obvious damage to the vessel when you do your visual inspection. The damage may be minor and fixable, or more severe and costly to repair, so be sure to note what kind of damage is visible and negotiate a fair price accordingly. Take note of any accessories included with the used watercraft, as such accessories can boost the value of the vessel and save you the money and effort associated with installing or purchasing such accessories after the initial purchase of the watercraft. What Are the Best Tips for Choosing a Kayak Trailer? 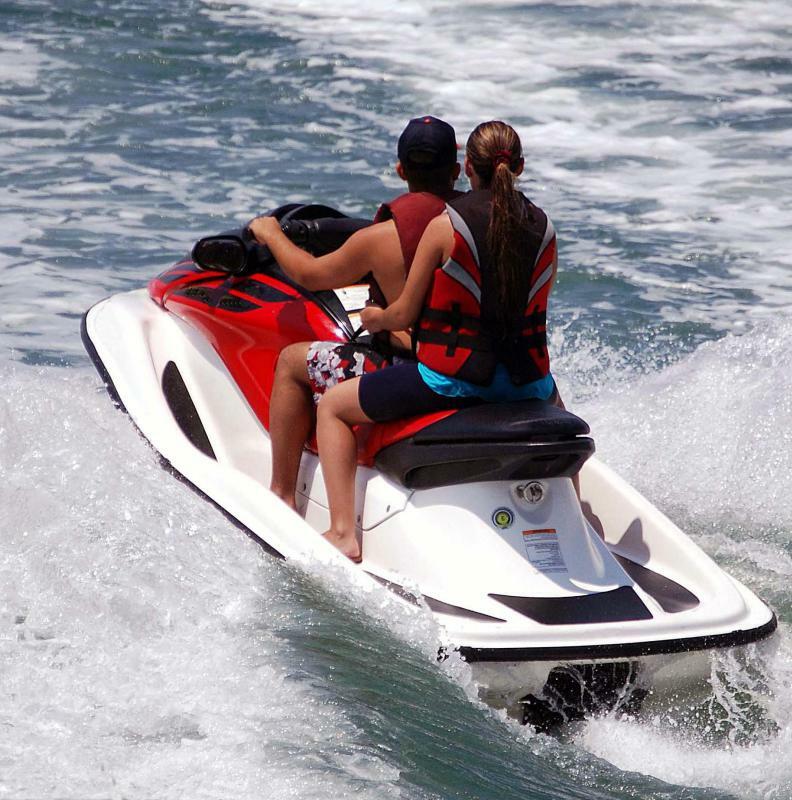 What Should I Consider When Buying a Used Jet Ski? How Do I Choose the Best Personal Watercraft Lift? How Do I Choose the Best Personal Watercraft Trailer? What Is a Jet Ski Dock?